Discussion in 'Pediatrics' started by Hala, Jan 15, 2014. In FINLAND, instead of decked-out cribs many babies actually end up sleeping in… cardboard boxes. For the past 75 years, new mothers are given a box filled with baby essentials including a small mattress to fit in the bottom of the box itself. The tradition began at a time when the country was poor and infant mortality rates were high and was meant to give every baby an equal start in life. It also encouraged prenatal care as expecting mothers had to go visit the doctor to receive this box of goodies. According to Bulgarian legend , if adults fawn over a baby, the Devil may get jealous and try to harm or steal it. Thus, logic would dictate that you have to make the Devil think the baby is undesirable, and what better way to get this point across than by pretend spitting in Baby’s eye while muttering, “May the chickens poop on you”? After giving birth, Mom isn’t allowed to do anything for at least 21 days to recover and should only eat warm foods/drinks (yes, even when it’s 90 degrees outside). She’s also expected to eat gallons of seaweed soup which is supposed to aid in post delivery recovery. After bringing Baby home from the hospital, most parents worry about sleep and feedings. In china , you can add potty training to that list. Many Chinese families practice infant potty-training (also known as elimination communication), which can begin as soon as the infant can hold up their own head (which can be as early as two months!) They condition Baby to go above a toilet by making a series of associated noises, praises and cuddles. Think about all the money in diapers they must save! In this tropical nation, a baby’s feet are not allowed to touch the impure ground for the first 105 days of its life. This basically means that they are held 24/7 for over three months straight. On that special 105th day, a big ceremony is held where the baby is both named and fully welcomed into the family. Mayan mothers in Guatemala often give newborns a freezing cold bath to encourage good sleep. While this may go against all our parental instincts, and causes Baby to wail like a… well, baby, the Mayans swear it helps with any heat rashes and promotes a deep slumber afterwards. It may be negative degrees in Sweden , but that won’t stop parents from leaving their babies outside in strollers to nap in freezing temperatures. Swedish parents believe the brisk fresh air will boost babies’ immune system, help them sleep longer and get them used to the often harsh temperatures of the region. 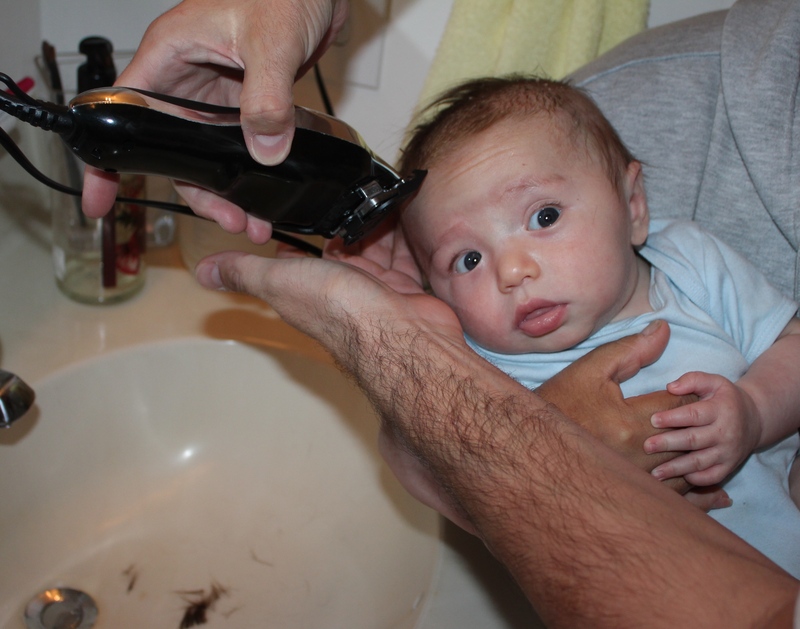 In Pakistan, Baby’s fine newborn hair is shaved off seven days after its birth in a Muslim ritual called Aqiqah–supposedly this will make Baby’s hair grow back faster and thicker. Silver in the amount of the weight of the hair that was shorn is given to charity afterwards. Russians do shave hair too. They also do not show baby to anyone (except family members)in the first few month. Russians believe that people can be jealous about the baby and it can harm his future and health. we kinda have this culture too, but people stop to practice it. it is related to envy and such. some muslim culture do weigh the hair and donate the gold equivalent. btw, the spitting in eye is good for ophthalmia neonatorum, no? Culturally distinctive practices. an example in Philippines is hanging baby's umbilical chord on the window, the portion cut to separate him.